The fundamental questions arising in mechanics are: Why?, How?, and How much? The aim of this series is to provide lucid accounts written by authoritative researchers giving vision and insight in answering these questions on the subject of mechanics as it relates to solids. 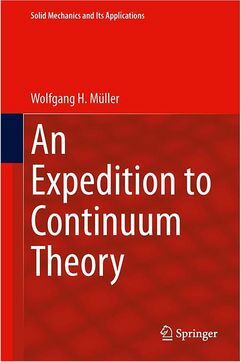 The scope of the series covers the entire spectrum of solid mechanics. 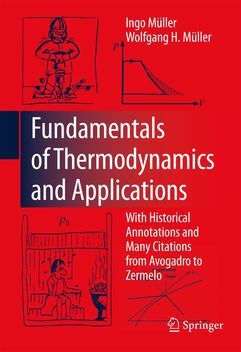 Thus it includes the foundation of mechanics; variational formulations; computational mechanics; statics, kinematics and dynamics of rigid and elastic bodies: vibrations of solids and structures; dynamical systems and chaos; the theories of elasticity, plasticity and viscoelasticity; composite materials; rods, beams, shells and membranes; structural control and stability; soils, rocks and geomechanics; fracture; tribology; experimental mechanics; biomechanics and machine design. The median level of presentation is to the first year graduate student. Some texts are monographs defining the current state of the field; others are accessible to final year undergraduates; but essentially the emphasis is on readability and clarity. In unserem Sekretariat ist dieses Buch nicht erhältlich! 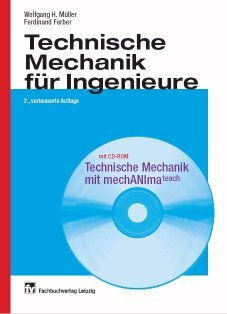 Sparsame Student/innen können sich dieses Buch in der Universitätsbibliothek der TU  ausleihen! 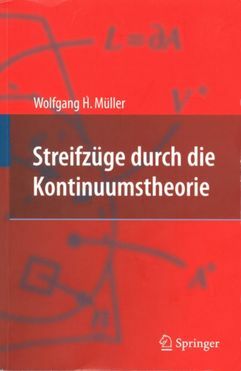 Sparsame Student/innen können sich dieses Buch in der Universitätsbibliothek der TU  ausleihen, sobald es dort verfügbar ist! Auch gibt es die am 29.04.2010 aktualisierte Errata zur zweiten Auflage  zum downloaden. Die Errata sind nicht Bestandteile der Bücher und können nicht beim Carl Hanser Verlag bezogen werden. Dieses Buch ist in der Universitätsbibliothek erhältlich. Die am 27. Juni 2008 aktualisierte Errata zur zweiten Auflage des Buches  gibt es weiterhin zum downloaden. Auch gibt es die am 27. Juni 2008 aktualisierte Errata zur ersten Auflage  zum downloaden. In unserem Sekretariat sind weder diese Bücher noch die Errata erhältlich! Zur Zeit bieten wir keine Übungsaufgaben zum Download an.